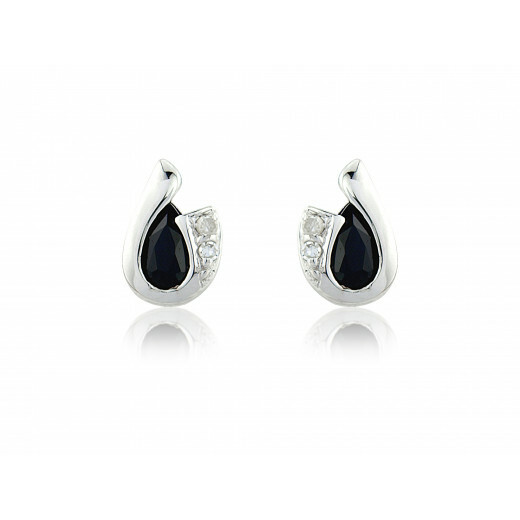 9ct White Gold Diamond and Sapphire Pear Stud Earrings. Two 5x3mm, 0.40ct pear Blue Sapphires are wrapped sumptuously by White gold with 2 diamond highlights on each earring. 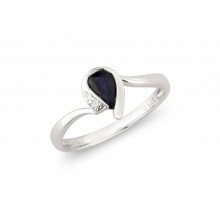 Sapphire is the tradition stone for the month of September. 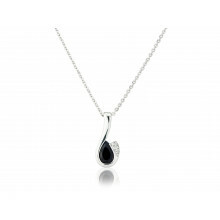 The power of the stone will offer good luck and protection. Post and Butterfly fittings. A lovely gift for a Virgo's and Librans.